With the ink barely dry on the press release for the Motorola Droid Turbo 2 smartphone launched on the October 26, 2015, we’re delighted to bring you our full analysis of its photographic capabilities. 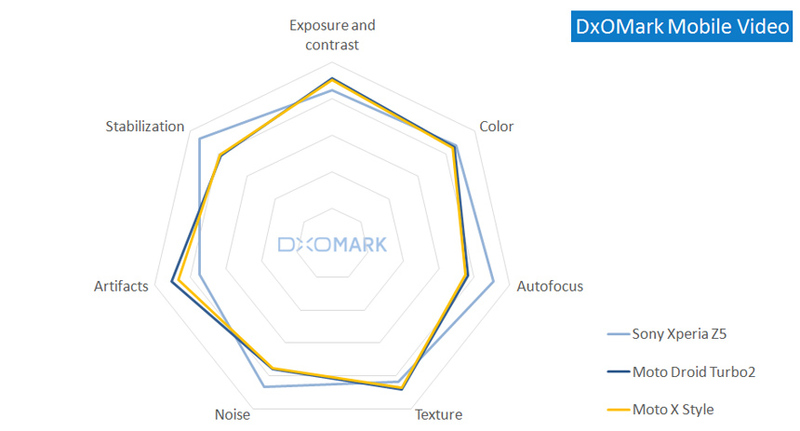 Yes, our technicians have been busy behind the scenes ahead of today’s launch putting the Droid Turbo 2 through the rigors of a DxOMark test, and the full results are now available. So let’s see how the 21Mp rear camera, similar to the unit housed in the Motorola X Style device, shapes up. Still shots from the Droid Turbo 2 are generally well-exposed both in good and low-light conditions, with accurate white balance and generally pleasant color rendition. When shooting outdoors in good lighting conditions, strong detail preservation is also evident, with almost no noise visible, even in homogenous areas of color such as the sky. When shooting high-contrast scenes, the brightest highlights are sometimes over-exposed in order to retain some detail in the shadows, but this isn’t uncommon with high dynamic range exposures. Exposures shot under low-light conditions are good overall, but not quite as consistent as exposures in good light, with some irregularities creeping in. Shooting consecutive exposures under a 10 Lux light source, image brightness can vary visibly between two shots, and although the white balance wasn’t offensive, a slight pinkish cast was noticeable. Some luminance noise was also visible, particularly in the corners, from exposures shot in low light. For artifacts or optical flaws, the two most obvious were ghosting and color fringing. The ghosting effect of a blurred or “double image” in the shot was sometime visible when activating the Droid Turbo 2’s HDR mode. In this mode, any subject movement from, say, a person or vehicle is sometimes “ghosted as a result of the phone’s image-processing engine merging together two slightly inconsistent images. In high-contrast scenes in very bright light, a rather noticeable pink color fringing is also evident, particularly around specular highlights on shiny objects. Shooting in these bright conditions, an over-saturation of blue sky is evident, too. The Droid Turbo 2’s on-board flash is well-centered, with nice exposures that offer accurate white balance, pleasant color rendering, and good detail preservation. The flash doesn’t offer great light coverage right into the corners, however, resulting in the build-up of strong chromatic noise in the corners and noticeable vignetting when using flash only. Autofocus performance on the Droid Turbo 2 is pretty positive all around and particularly in good lighting conditions, where it’s very responsive, locking onto subjects quickly and easily. As you’d expect, autofocus performance isn’t quite as strong in low-light conditions, with more overshooting or hunting evident and a higher volume of failed focus shots. That said, we were generally pleased with its stable performance in Autofocus Auto Mode. Under a low-light 10 Lux tungsten light source, the white balance is generally pleasant, but some irregularities for color and exposure are visible between consecutive shots. 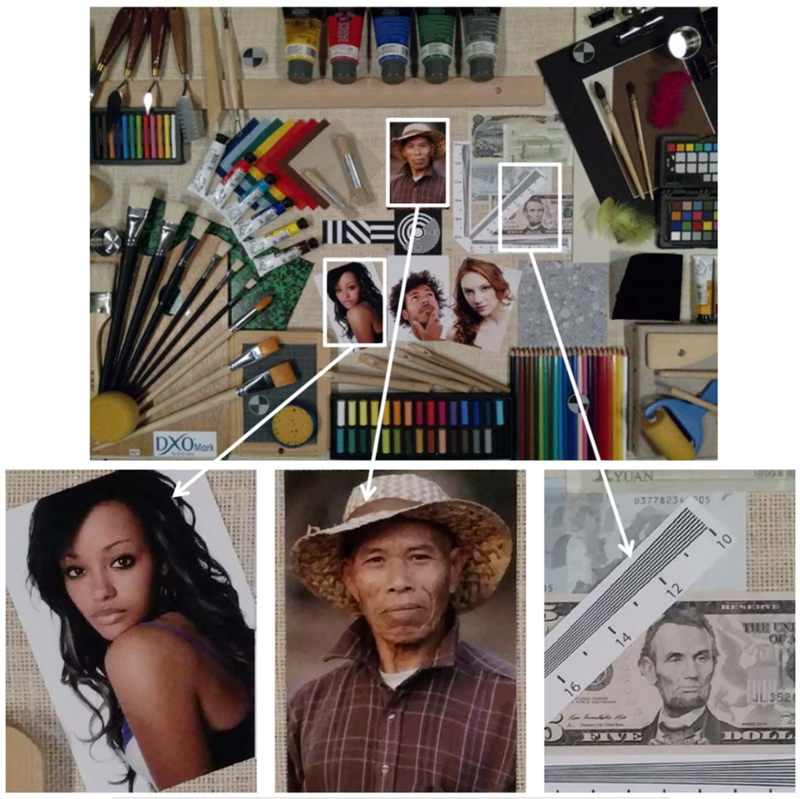 Accurate white balance and generally pleasant color is recorded when shooting under good lighting conditions. Under low light (20 Lux) and a tungsten light source some color shading is visible, which shifts from a pink cast in the center to a green cast in the corners. Images are well-exposed even in tricky backlit scenes. Good shadow and highlight detail recorded (left), although the very brightest highlights are sometimes over-exposed (center). 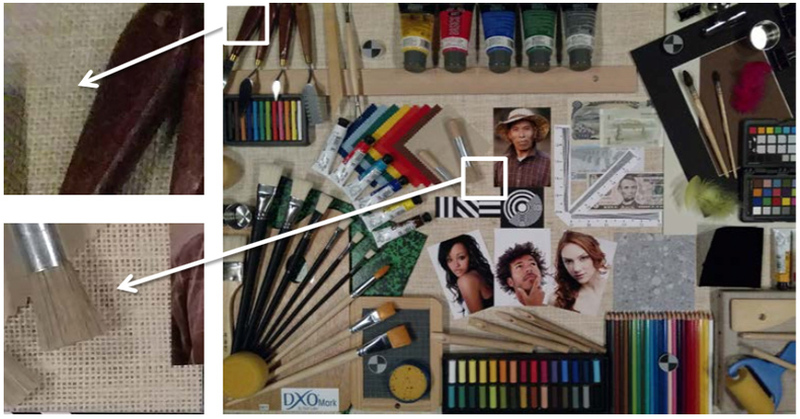 In extreme low-light conditions (5 Lux), images are slightly underexposed but still usable (right). In bright light conditions excellent fine detail preservation is recorded, with barely any visible noise even in blocks of color or graduations. On images shot under low-light (20 Lux) conditions, the 100% crops show that very fine details are lost, and some luminance noise is noticeable, too. With the HDR mode activated, ghosting is sometimes visible on moving subjects such as the birds, which appear twice (right), or with the blurred figure of a person moving (left). 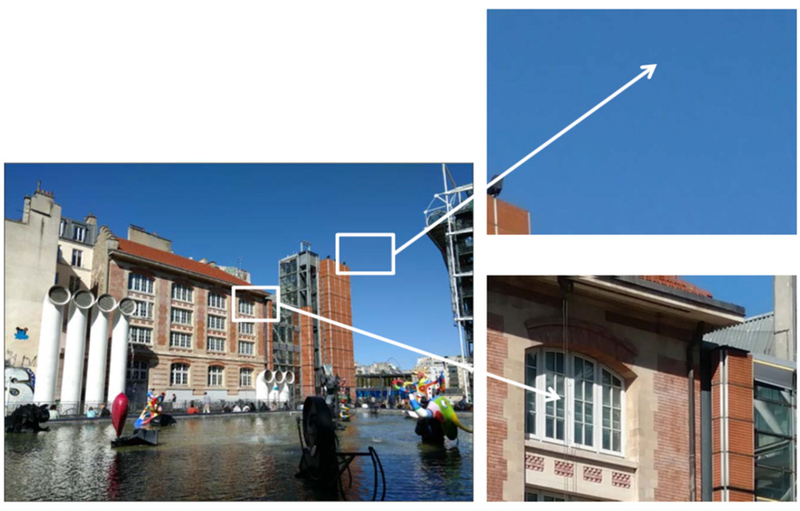 Exposures shot into bright light are generally well-controlled, which is an improvement over many camera phone devices, but some blue-sky saturation is also recorded. Despite the good exposures, very noticeable purple fringing is on display, particularly around specular highlights. Many of the same strong attributes from the Droid Turbo 2’s still photography are evident during its video operation, with good detail preservation and accurate exposures, including pleasant color rendering. Solid autofocus performance and stabilization during video is a bonus, too. It’s fair to say that the Droid Turbo 2 isn’t quite as effective as Sony’s Xperia Z5, which is the class leader for video autofocus and stabilization, as the former is a little more inconsistent, with some autofocus tracking and hunting problems when shooting video under low-light conditions. When changing between scenes on the Droid Turbo 2, both exposure and white balance adaption are quick and responsive. A build-up of both luminance and chromatic noise on exposures under low light continues to occur on video as with stills, however, and particularly so in the corners, where the problem seems to be worse. An overall score of 84 points puts the new Motorola Droid Turbo 2 into joint third place in the DxOMark Mobile database alongside the recently-released Google Nexus 6P. With the camera capabilities of the Droid Turbo 2 comparable to one of its Motorola predecessors (the X Style), the Droid Turbo 2 achieves very marginally-improved scores in both photo and video sub-categories, thanks to its improved temporal noise reduction in low light. 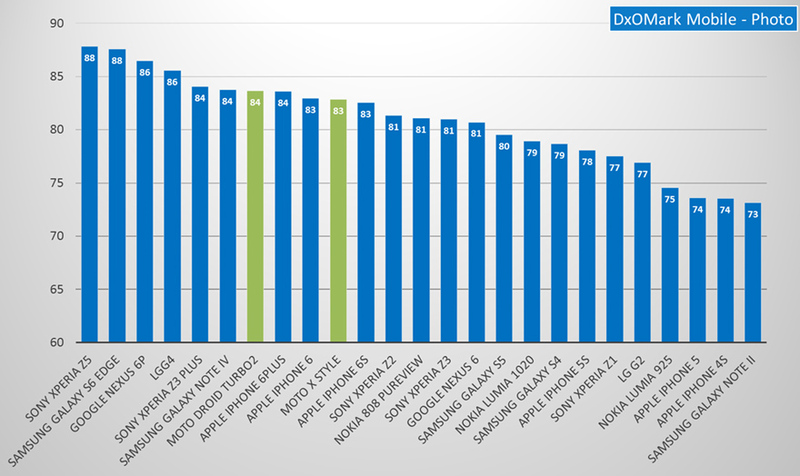 For still photography results, the Droid Turbo 2 photo sub-score of 84 points is only a little behind the top four devices we’ve tested. 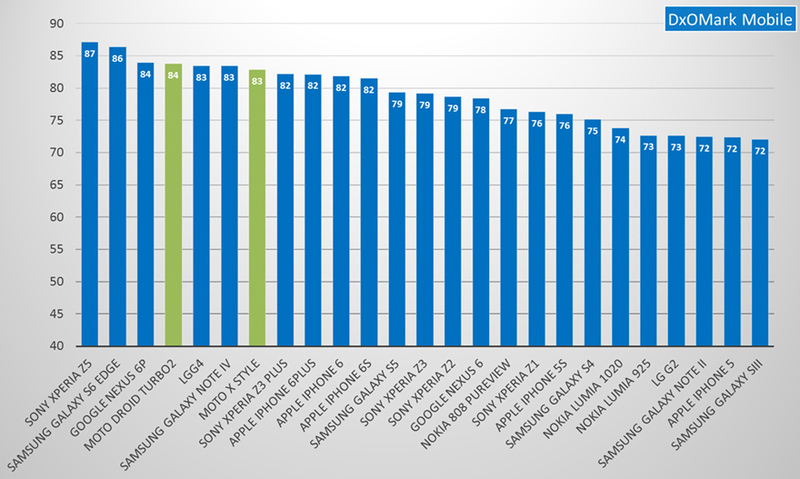 Leading the way for photo results are the latest flagship devices from Sony and Samsung in the shape of the Xperia Z5 and the Galaxy S6 Edge, respectively, both with a DxOMark Mobile Photo score of 88 points. Interestingly, the latest devices from Google and LG occupy joint second place, both with a photo sub-score of 86 points. 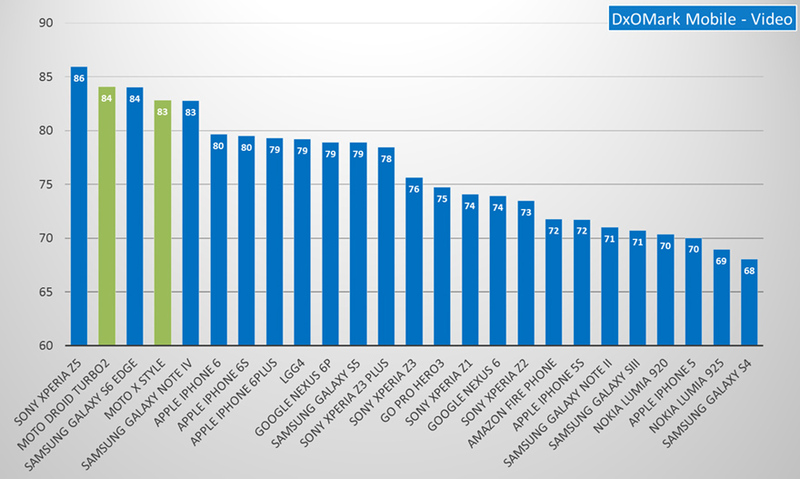 That leaves the new Droid Turbo 2 in a four-way tie for third place among the Sony Xperia Z3 Plus, the Samsung Galaxy Note IV, and Apple’s iPhone 6 Plus (all with 84 points). 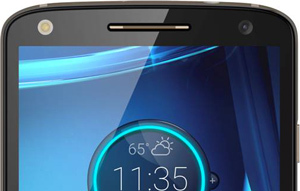 For video, however, the Droid Turbo is a little closer to the competition. It sits in joint second place with the Samsung Galaxy S6 Edge with 84 points, which is only just behind the Sony Xperia Z5, which is the leading video smart phone we’ve tested (86 points). 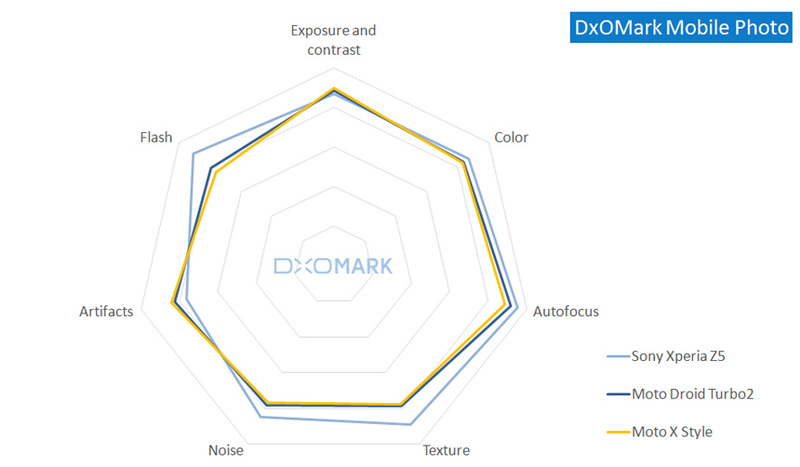 A solid all-round performance has placed the Motorola Droid Turbo 2 into the top 3 in the DxOMark Mobile database. Its strengths certainly lie in its good-lighting condition performance, where excellent exposures with strong detail preservation and no noise are recorded, even for tricky back-lit scenes. Autofocus is excellent in good light, too, with the only negative shooting outdoors in HDR mode, which has a tendency to “ghost” moving objects. The Droid Turbo 2 has improved temporal noise reduction in low light over its predecessor, the X Style, but very fine details tend to become lost when examining 100% crops. Some autofocus and exposure failures were recorded testing under low-light conditions, too, along with a build-up of luminance and chromatic noise in the corners. All things considered, however, the Motorola Droid Turbo 2 puts in a commendable performance, which places it right up there with the leaders at the top of the DxOMark Mobile database.